Last week, I was strolling the aisles of my local JoAnn’s Fabric Store with a 40% coupon burning a hole in my pocket, when I spied this book on doodling. 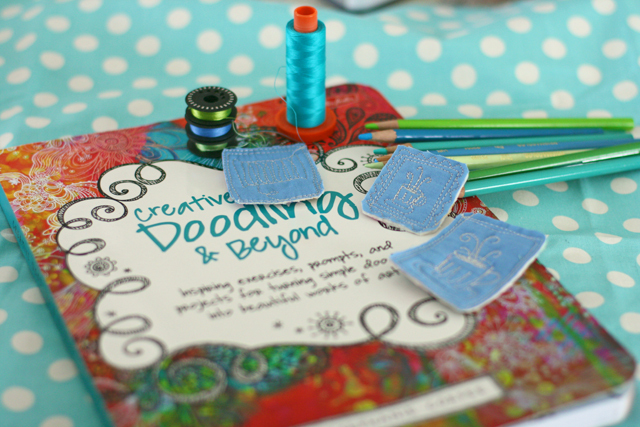 Who knew one could write a book about doodling? As you know, I am a big proponent of doodling. (Read posts HERE and HERE). 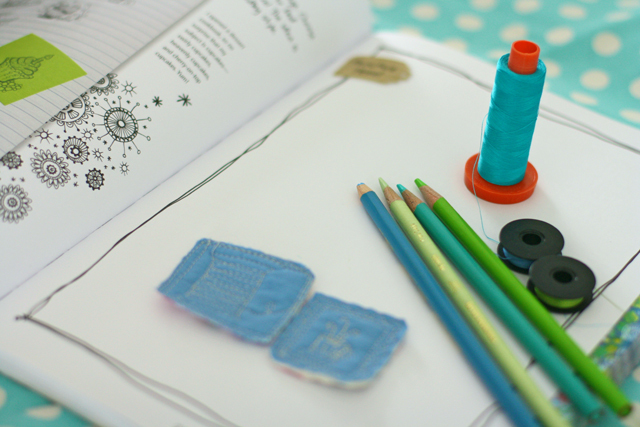 Not only does it make you smarter (Read more HERE), doodling is a great way to practice free motion and long arm quilting. Then the next best thing is doodling the old-fashioned way. 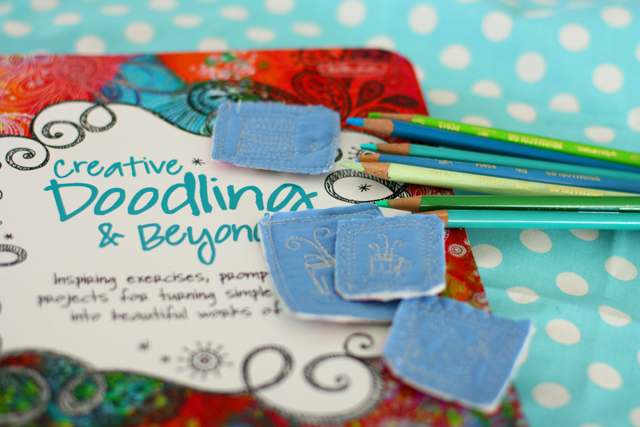 If you are looking for a little inspiration, check out Stephanie Corfee’s Book, Creative Doodling and Beyond at your local store. (Here’s a link on Amazon.) 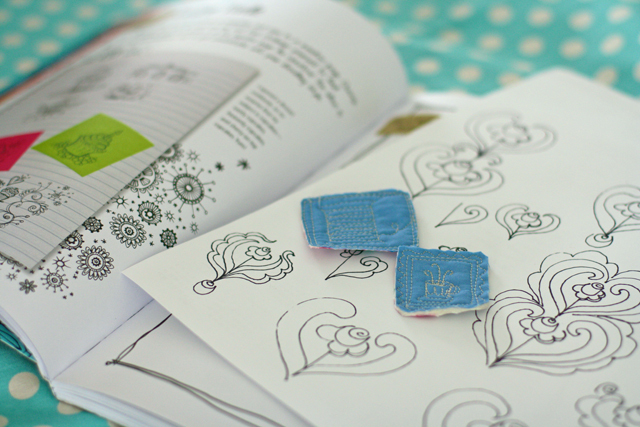 I’m going to doodle a little sunshine–it did stop snowing yesterday and today it is pouring rain! 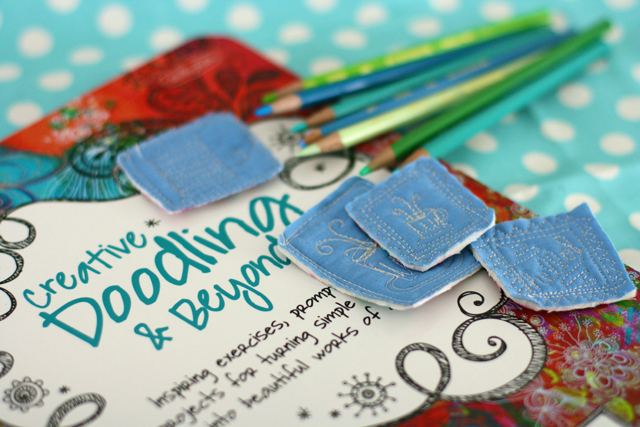 Next week: Design tips, The Wave free motion quilting tutorial…and so much more! I must confess, I am not a blog follower, UNTIL NOW! I enjoy every part of your blog and your amazing quilting. I feel like I have a new friend. You share so many quilt designs and inspirational ideas that encourage me as a quilter. Many thanks. I’m always glad to make a new friend! Thanks for following and thanks for taking the time to comment! Since reading your blog I doodle at work. We are going thru a slow spell right now. Sitting at a desk with nothing to do is easier when I’m practicing my quilting. I OVE this book. I found it last summer and it started me drawing and painting. I have been long arming for years and do a lot of “drawing” with my machine. But I never thought of my self as an artist until I started drawing and painting on paper. You doodle so well on your machine. You could have written this book. 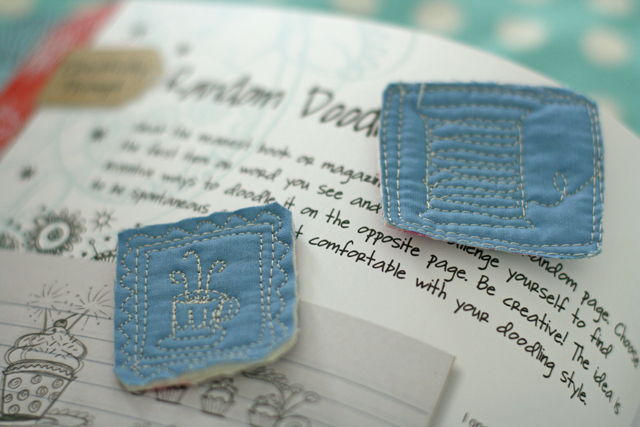 I love your little squares at the top of the Post – are you going to make them into brooches? I never thought of it. I will send them to you if you want to do it! I doodle all the time. I am thinking it helps with my free motion quilting. I am much better with it on my long arm, but want to get better on my domestic so I can do some little projects. OMG! I found this book at Joanne’s also and used a 50% off coupon! Isn’t it wonderful and I thought about FMQ first of all! Having fun!! I love your blog! Hmmm, what does it say about me if I’ve never really been a doodler? It was frowned upon in school, and I always tried to be a good pupil. I was a “rule follower ” as a youngster, but as an adult I’m a creative rule breaker!! Is there hope for me? bought this book some days before and LOVE it! I will try to quilt my own place cards for our wedding. Thanks for the ideas!